Mourners, friends and the nation’s political elite traveled to Washington, D.C.’s National Cathedral Wednesday for the late President George H.W. Bush’s state funeral. 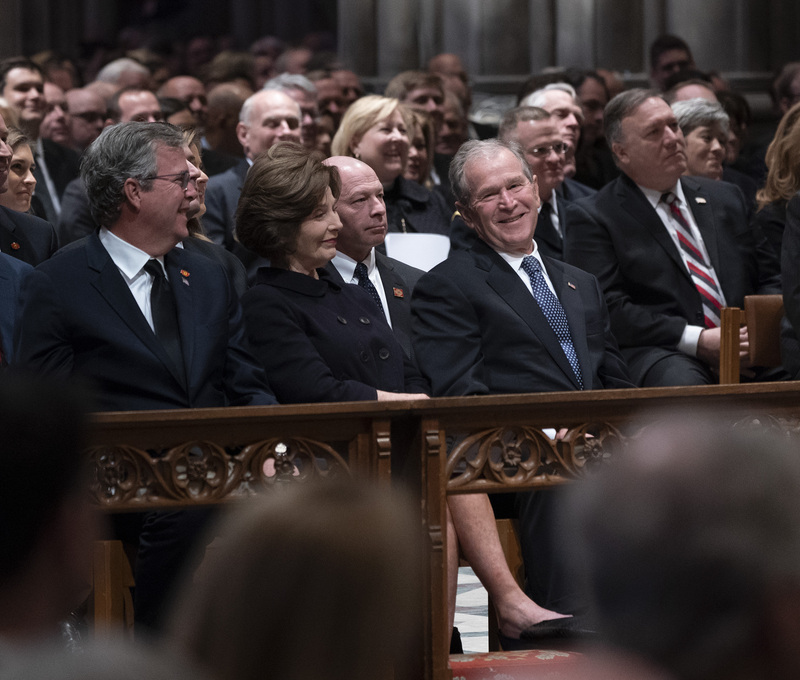 The audience listened to speeches from family members and friends recalling their memories of Bush and sharing private moments with the late president. There were many laughs and emotional moments — but no one brought the room down like longtime Bush friend and former Republican Wyoming Sen. Alan Simpson. During one particularly funny moment, Simpson dinged Bush for his raising of taxes – which contributed to his loss in 1992. The room was a tough crowd, however — particularly the front row, where five presidents sat. But Simpson’s wit had even this row all laughing with a joke about the nature of D.C. culture. Simpson was talking about the humility of George H.W. Bush and took the opportunity to criticize D.C. culture. The audience roared. 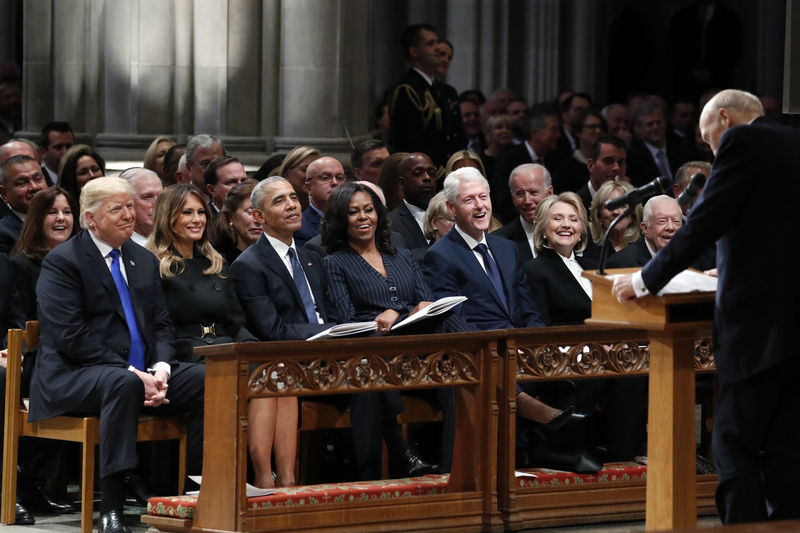 And for the first time at the event, all of the five presidents – and the spouses – could be seen laughing together. H.W.’s casket is bound for Texas and boarded Air Force One later Wednesday afternoon. Bush will be laid to rest next to his wife at their presidential library in College Station Texas.